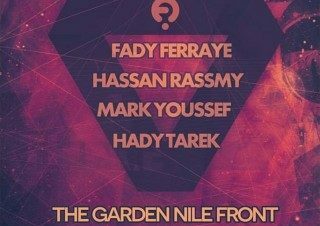 The last Sound Chemistry at the Garden Nile Front in Manial before Ramadan sees Hady Tarek joined by Fady Ferraye, Hassan Rassmy and Mark Youssef for getFresky! Cairo. For reservations, call 0120 700 1001.